Kendrick Lamar Reveals the Original Title for DAMN. Kendrick Lamar was a guest on Big Boy’s radio show and talked about the conceptualization of DAMN., his relationship with his TDE labelmates and being the voice of a generation. The rapper revealed that at one point, he had plans to title his album “What Happens on Earth Stays on Earth.” Kid Capri says the phrase in the introduction of tracks like “ELEMENT.” and “DUCKWORTH.” Lamar said the alternate album title “didn’t read right” and joked with the radio host about it being much too long. “The loudness of the record, it just screamed that in my face,” he said of the title DAMN. He also mentioned there were other ideas, like the saying “damned if I do, damned if I don’t,” that led him to choose the title. “We wanted to have something in the lyrical content where it connects. Where it’s not just lyrics but its something you can actually feel. It’s stories you can feel, emotions you can relate to like pride, love, self-worth or doubt,” he said in regards to the inspiration behind the album. 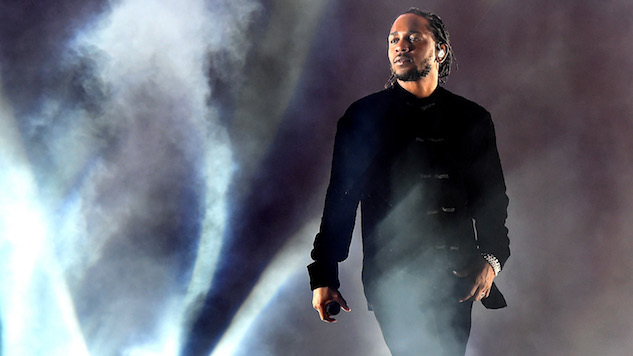 The interview went on to see the rapper talk about touring internationally, family and being the “greatest of all time,” and the morning show team even administered Lamar a DNA test.